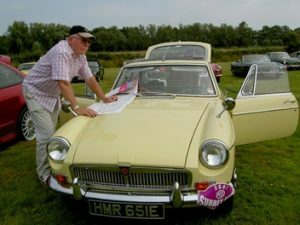 David started his motorsport career in the early 70’s on a CSMA road rally starting in Farnborough where he & his colleagues – four up in an Austin A30 – got hopelessly lost and so retired to a café! After that initial escapade motorsport became a large part of his life. In the mid 70’s a minor crisis in his wallet took David & family to the Middle East he was a founder member of the Qatar Car Club before moving to Bahrain where he was Chairman for a year with a calendar of nearly 40 events a year. Somehow he also found time to hillclimb and autocross his Datsun 260Z, loaded with Janspeed go faster bits – “The best car I ever sold” – and to contest the Middle East Rally Challenge as a member of the factory backed Zayani Mitsubishi Rally Team. 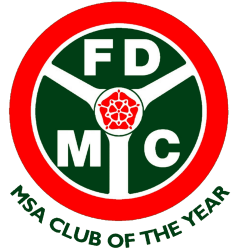 Returning to the UK in the 80’s he got heavily involved with FDMC activities – competition secretary for years before a three year stint as Chairman. Competition activities included co-driving in the BTRDA Championship for several years with an old friend and various other rallies with FDMC members and friends. These days he is a MSA Steward [for 25 years] and a MSA Rally Safety Delegate so his weekends are quite busy! He is proud to be a Vice President of FDMC.